Vaughn Walters and Jenny Parrott make up Loves It! Ideally, it would seem to be a music major’s dream to tour the nation, spreading the word about your songs and entertaining countless crowds. For Radford University alumnus Vaughn Walters, this dream is a well-earned reality. 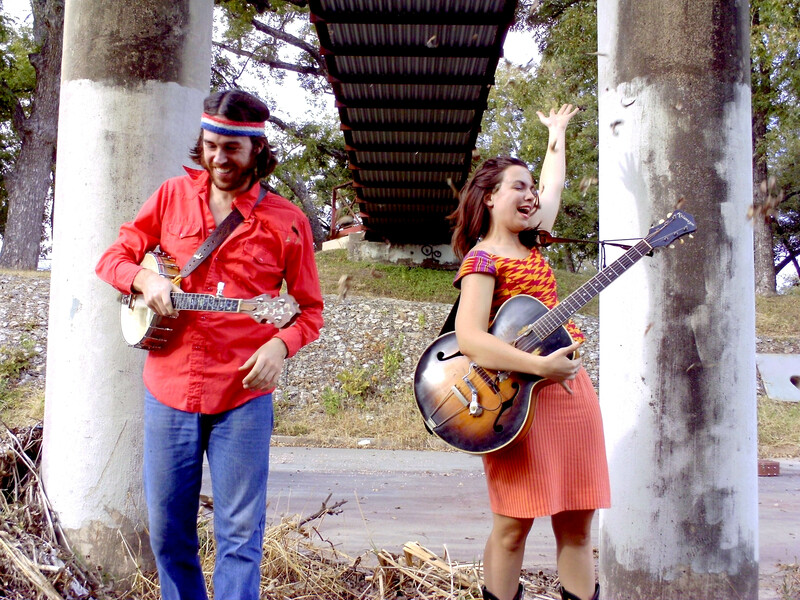 Along with his friend Jenny Parrott, the duo are Austin, Texas’ indie folk sensation, Loves It! While the group has traveled across the country, hitting venues in Pittsburgh, PA, Nashville, TN, and Ann Arbor, MI, Loves It! will be playing in Radford for the first time since Walters graduated from the University in 2004. Walters moved to Texas in 2006, and met Parrott while the two were touring together in opposite bands. Their union was formed from a mutual taste in music and the desire to start some thing new. Currently, this is the first tour Loves It! has embarked on. Loves It! incorporates an indie-pop style melded with traditional folk influences. As Walters grew up near Morgantown, West Va., it would seem that his inspiration stemmed from the rich Appalachian culture that fostered bluegrass. According to Walters, however, that inspiration came later in life. Walters started to absorb Appalachian music when he started working at a bluegrass venue at the age of 20. In that sense, Loves It! seems to stray away from the traditional norms. Both Walters and Parrott bring diverse inspiration to their creative table. While Walters incorporates his lifelong passion for punk rock, country and folk, Parrott melds soul, swing and gospel in Loves It!’s uniquely upbeat sound. Both share duties as multi-instrumentalists, incorporating claw and hammer banjo, guitar, mandolin, and predominantly harmonized vocals. “This has been a lot less traditional than other stuff I’ve done, but we still play roots music at the core,” said Walters. On their debut album, Yay! Walters and Parrott blend experiential narratives against a steady and positive musical backdrop. Tempos change up dramatically at times, and their music features a great amount of unpredictable twists. Such experimentation can be attributed to wild production techniques, included specifically to avoid a monotonous sound. One of the best examples is their song “Dinosaurs.” The song is a lighthearted, banjo-driven tune that sounds child-friendly throughout. Halfway through the song, a startling guitar solo comes out of nowhere. At their stop in Radford, Loves It! plans to record a couple tracks with the Music Business department. As of right now, they are anticipating a follow up to Yay! sometime next summer. Walters was a music major at RU studying classical guitar. During his college career, he was also an active participant in the local music scene. He generally performed as a solo artist, playing folk punk at parties off campus. Walters also performed with a number of other folk and rockabilly bands, generally as a bassist. According to Walters, his time in the New River Valley music scene was during the “transitional phase” between online promotion and spreading his name by word-of-mouth. Although Walters has a strong background playing the musical styles that would precede Loves It!, their current material is as recent as the duo itself. According to Walters, he generally handles all the arrangements, while Parrott writes their songs. Yay! was not only Loves It!’s debut album, but the first full-length Walters ever recorded. Loves It! intends to hit the festival circuit this year, including Soundcheck 5 in Wyoming, OK Mozart in Oklahoma, and Strange Creek Campout in Massachusetts. The duo also hopes to play FloydFest, the annual three-day music festival just outside of Floyd Co., VA.
As an act from Austin, TX., Loves It! also has the city’s famous South by Southwest (SXSW) on their agenda. According to Walters, the band has three gigs planned so far for the week long festival, but expects to play as many as eight. Overall, they concur that Austin is a creative haven. Although it can be difficult to thrive in an independent music scene without corporate support, Walters said, Austin stands separate from the larger cities where such support is prominent. “Nashville is the music business capital, and Austin is the live music capital,” said Walters. Loves It! will be playing in the Performance Hall in the Covington Center this Thursday, Feb. 9 at 9 p.m. The following day, they will hold a seminar in the Performance Hall at 10 a.m. to educate students about reality in the music business.